Thursday, January 14 is the last day to enroll in this round of the Ad Consultant Incubator training program! I’ve gotten a lot of questions about it in the past couple of days, so I wanted to make sure I cleared up a few things. I want you to have all the info before you decide if it’s right for you and your business. 1. I don’t want to run Facebook ads for other people, but I need help with my own campaigns. Is this for me? It wasn’t created for you, but you’ll still get a TON out of it. This program is designed for people who want to make money by running other people’s ads. 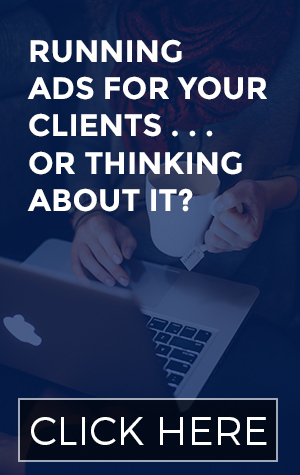 It’s the perfect training for virtual assistants or marketing consultants who want to work with fewer (and better) clients while bringing in more revenue. However, the last time I ran the program, I had the pleasure of working with a business owner who was only interested in improving his own ad results. He told me later that the one-on-one time with me and my feedback on his active campaigns made the investment more than worth it. So if you want hands-on help with everything related to your ads for the next 2 months, come join us! 2. What am I going to get out of this program? 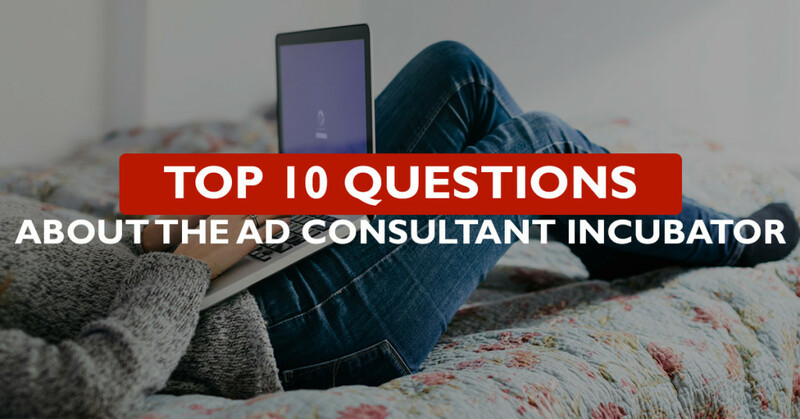 The two biggest things you’ll take away from the Ad Consultant Incubator are confidence and referrals. When you aren’t confident in your work (any work), you undercharge for your services. You ignore the emails from people who want to hire you that have been sitting in your inbox for a week. You make excuses about why you’re not good enough and so you don’t promote your offerings. Unfortunately this is extremely common; I know some talented business owners who admit to letting that self-doubt paralyze them and keep them from really growing in their business. 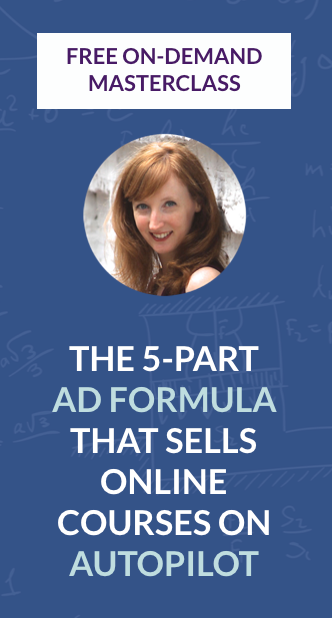 The good news is that when it comes to Facebook ads, there are things you can do before the project even starts to avoid any uncomfortable situations with clients. And there are foolproof ways to make sure you don’t end up working with a nightmare client in disguise. “Before the program, I wasn’t really confident in explaining the process to my new clients, so I wasn’t pitching my services very hard. The second HUGE thing you’ll get from the program is referral clients. Thanks to the Ad Consultant Incubator, I have a solid list of people whose work I KNOW to be good. How? Because I saw the exact campaigns they ran, how they dealt with their clients, and the results they got for them! 3. I don’t have experience with Facebook ads; can I enroll anyway? Only if you already have experience with online business. If WordPress set-up and Google Analytics make you want to scream and run away, this program is not for you. If you like the challenge of figuring out new things (and Google is your best friend for research), I can’t wait to work with you! You can sign up right here. 4. I’m making $7000 per month running ads for people – will this program help me take it up to the next level? It depends on what you’re struggling with. If you’re doing well with current clients but aren’t getting enough new leads, the referrals you can get from being on that above-mentioned list will be worth the investment alone. 5. What if I try it and I don’t love it? Can I get a refund? Sorry, but I don’t offer refunds for this program. I know that’s an unpopular position, and I’m OK with that. Let me put it this way: I’d rather use my time and energy to work with fewer committed entrepreneurs than enroll more people who aren’t quite sure this is a good fit for them. 6. Why don’t you run ads for people anymore? Damn, that is a great question. Here’s the problem: I looked at the way to scale Facebook ads services, and it involved hiring other people to help me do it. And unless I want to be project managing everything, I’d need to bring on someone else to manage the people I had hired. In order to make that work, I’d need to be charging much higher prices and inevitably going after bigger clients than the ones I love working with: solopreneurs or very small teams. I’m not completely turning my back on this kind of business model in the future, especially since training people in the Incubator has proved to me that there are some really talented contractors I could bring onto my team. But with the baby coming, I’m focusing on keeping things small and profitable. The great news is that YOU get to benefit from all the work I’m passing on. Read question #2 again if you don’t know what I mean! 7. When will you be running this program again? This is an even harder question than the last one! The answer is: maybe in the fall of 2016, or maybe not again until 2017. It’ll all depend on how things go once the baby is here! 8. Is there any way I can get a longer payment plan? I’m really interested but strapped for cash these days. How that works: if you start your payment plan on January 13, you’ll get charged on the 13th of each month until you’ve made all your payments. 9. How can you be sure I’ll make my money back? During the program, you’ll work with test clients (provided by me if necessary) to practice exactly what you’re learning. So you’ll have hands-on experience after only 6 weeks instead of just the theory of it all. Let’s say you then start taking on clients at $400 per project during the Incubator. (Yes, I’m going to push you to start getting paid clients before our time together is finished.) Personally I think that’s a very low rate but it’s fine for any beginner who needs to build up their testimonial list. You’ll only need 5 clients to get a positive ROI from your investment in this program. You could easily work with 5 clients in the next 2-3 months, depending on your “hustle” rate. Just think about all the clients you’d land after those first 5 that help pay for the Incubator. That’s revenue you may not have brought in without this initial investment in your training. 10. How long does this program last? Officially 6 weeks. Unofficially, my one-on-one support for all participants will continue for 10 weeks . . . unless the baby comes early. More info on that here. Still grappling with some questions? Shoot me an email at info@clairepells.com! But do so quickly: enrollment closes tomorrow, Thursday January 14, at 4pm EST / 1pm PST / 9pm GMT (also known as Friday morning at 8am for you AEST folks)! Don’t miss your chance to join us for this round. Like I said above, I’m not sure when I’ll be running this training again! Click here to grab your spot.